Ditch the boring and overstated factory chrome front grilles and get a darker and more aggressive look on your car. 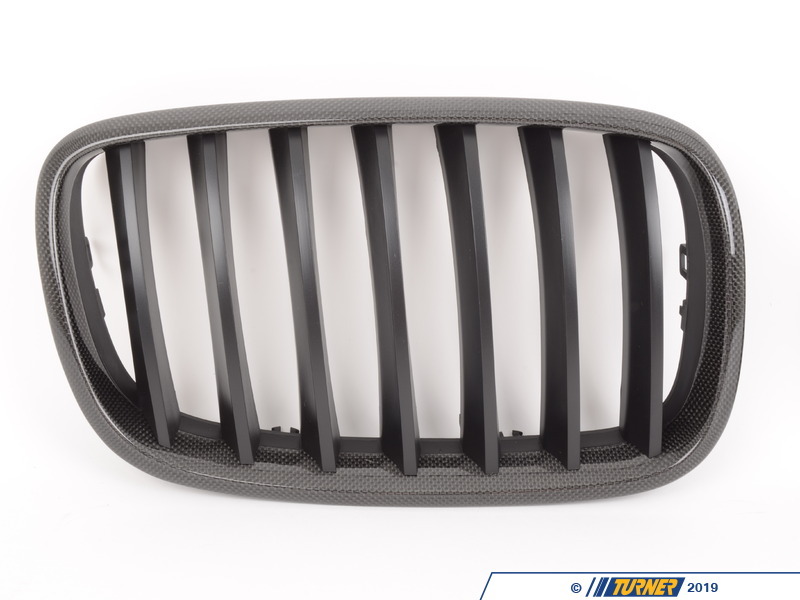 These replacement grilles are made from ABS plastic with a carbon fiber weave on the exterior frame. Carbon fiber is replacing chrome and aluminum as the most desired decorative trim. Since it has its roots in aerospace and motorsports the look gives off the impression of cutting-edge technology and lightness. 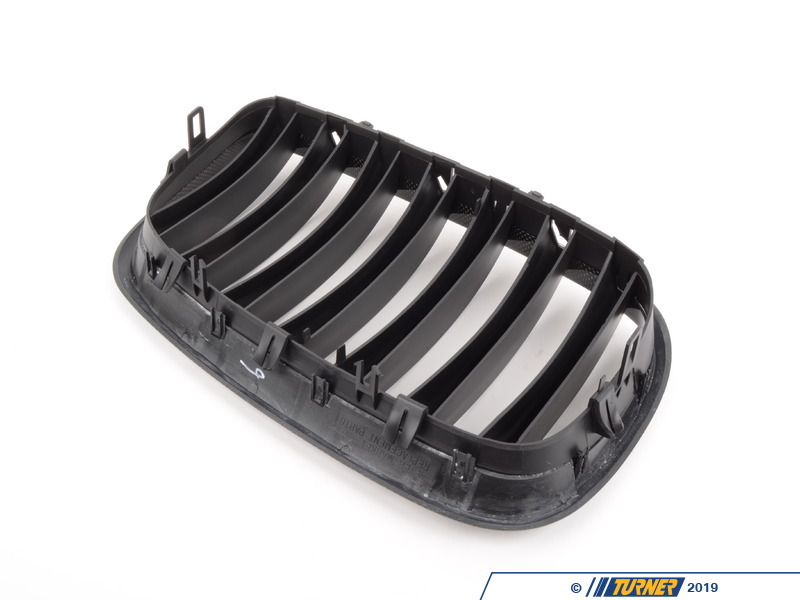 But our suppliers have improved the fit and finish of carbon�s inherently rough appearance. There are several quality grades to carbon fiber weave and we would put this right in the middle. 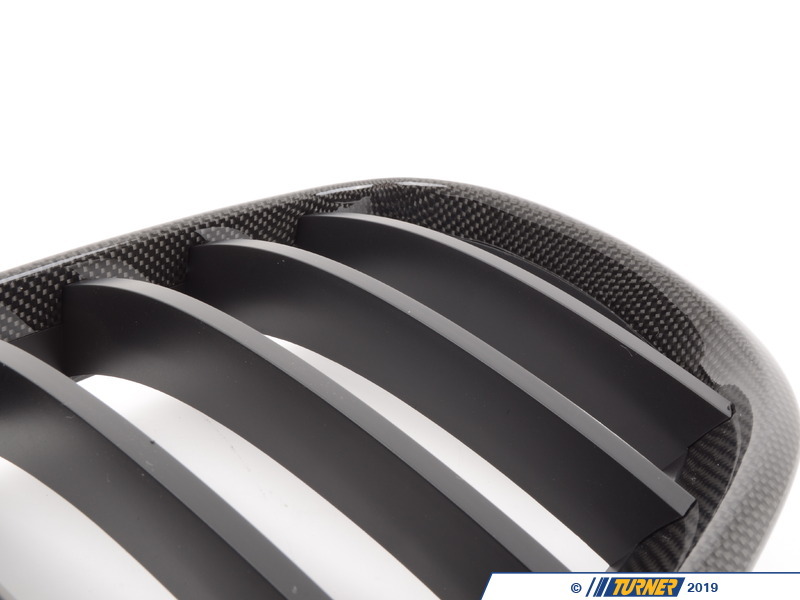 It�s a good quality carbon weave without costing hundreds more like an Original BMW carbon part would. We inspect each grille for finish imperfections and quality issues so you�re getting only the ones we approve. If you want to complete the carbon fiber makeover on your car check out our other carbon grilles, emblems, trim, and spoilers. But please note that we source our carbon products from multiple suppliers and the carbon pattern will vary. 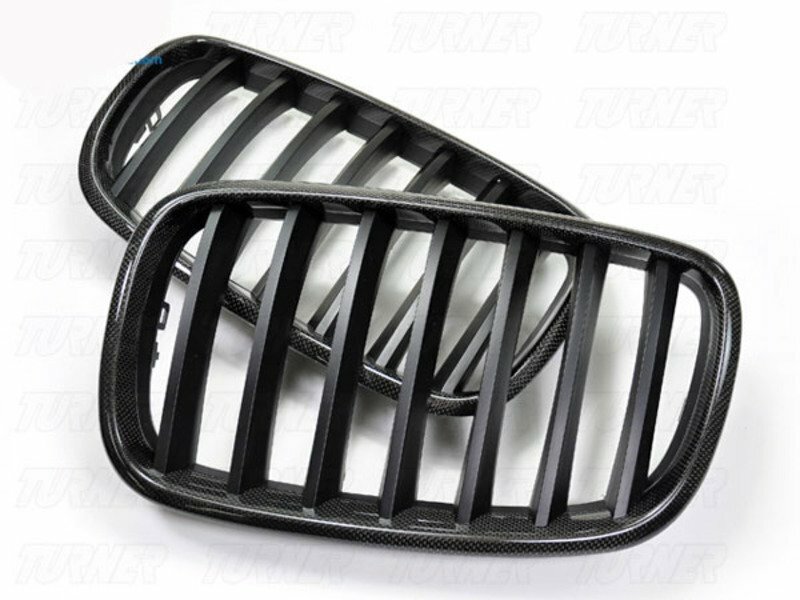 Our grilles are sold in pairs � one for the left and one for the right. Installation is easy as they snap out and then snap back in. 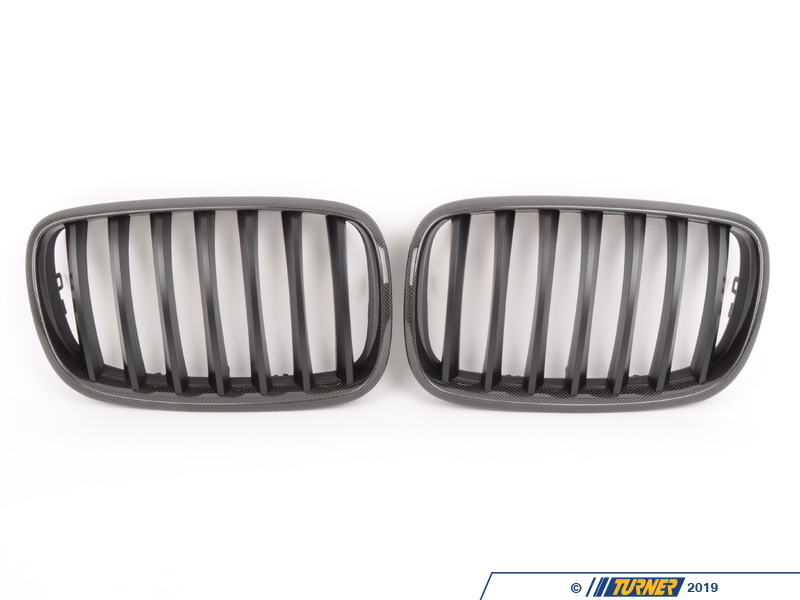 Ditch the boring and overstated factory chrome front grilles and get a darker and more aggressive look on your car. 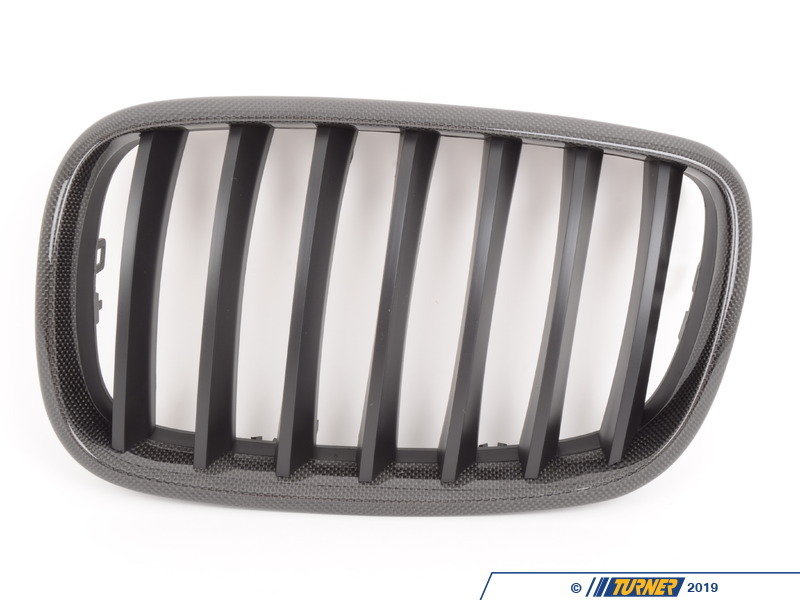 These replacement grilles are made from ABS plastic with a carbon fiber weave on the exterior frame. Carbon fiber is replacing chrome and aluminum as the most desired decorative trim. Since it has its roots in aerospace and motorsports the look gives off the impression of cutting-edge technology and lightness. But our suppliers have improved the fit and finish of carbons inherently rough appearance. There are several quality grades to carbon fiber weave and we would put this right in the middle. 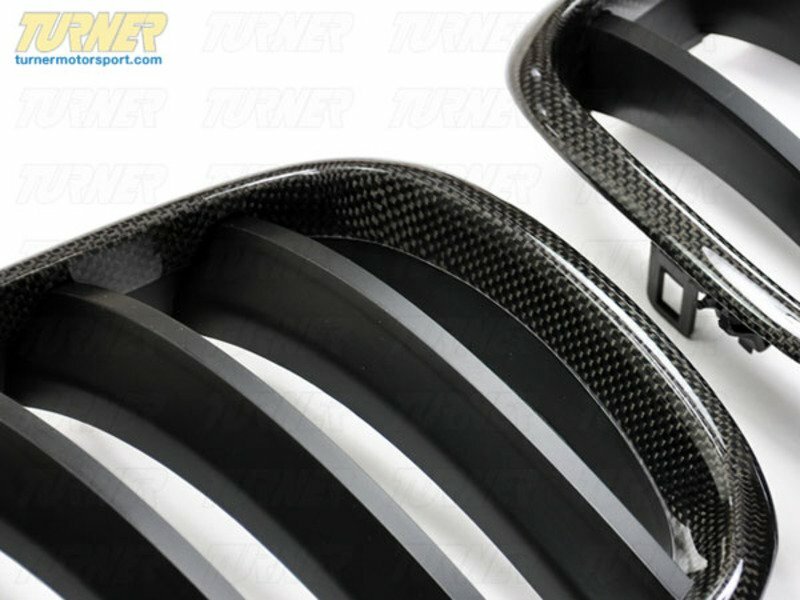 Its a good quality carbon weave without costing hundreds more like an Original BMW carbon part would. We inspect each grille for finish imperfections and quality issues so youre getting only the ones we approve. If you want to complete the carbon fiber makeover on your car check out our other carbon grilles, emblems, trim, and spoilers. But please note that we source our carbon products from multiple suppliers and the carbon pattern will vary. 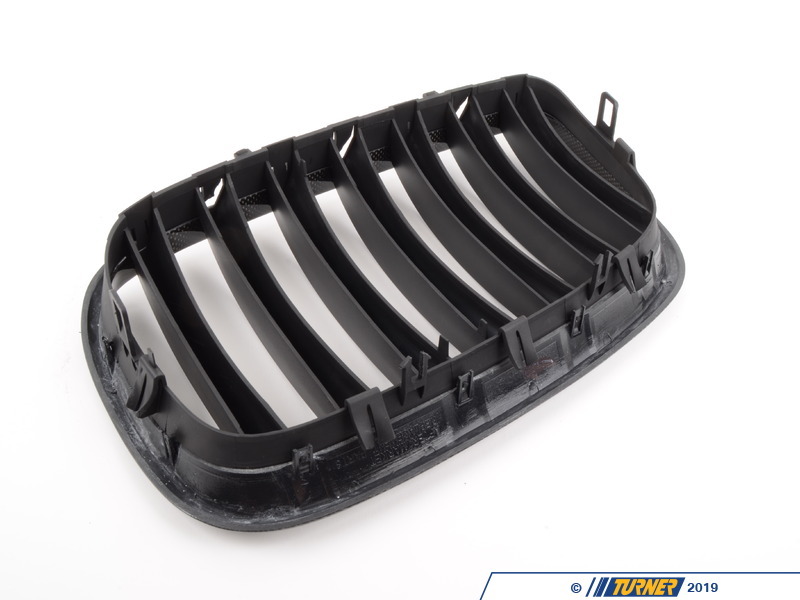 Our grilles are sold in pairs  one for the left and one for the right. Installation is easy as they snap out and then snap back in.